NA conceived the idea and wrote the manuscript. AA helped in field experimental work. KMK assisted in data analysis and polished the manuscript. RM evaluated the statistical data. NUA analyzed the fish feed. MA and MA helped in literature search. PJAS supervised the work. Acanthopagrus arabicus, Juveniles, Floating net cages, Protein requirements, Growth performance, Carcass composition. The members of family sparidae, commonly known as seabreams and porgies, are distributed widely in temperate to tropical seas (Froese and Pauly, 2015). According to Eschmeyer et al. (2013) the family has 139 species in 36 genera. Many species of sparidae are used for aquaculture due to its euryhaline characteristics, adaptation to a variety of temperatures, rapid growth and high demand in the markets (Leu and Chou, 1996). Sparids have opportunistic nature in feeding (Sarre et al., 2000; Tancioni et al., 2003). They consume a lot of benthic prey and also depend on plant materials (Tancioni et al., 2003). Sixteen new sparid species have recently been described (Iwatsuki, 2013). 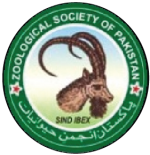 A total of fourteen sparid fish species has been identified and described from Pakistani waters (Siddiqui et al., 2014). Recently described Acanthopagrus arabicus and four other species (Iwatsuki, 2013) were considered as single valid species, Acanthopagrus latus (Kuronuma and Abe, 1972; Akazaki, 1984; Carpenter, 2001). Acanthopagrus arabicus is known from the Middle East waters, Qatar to Southern Oman, Duqm, Trivandrum to off the coast of Kuwait, and Southwestern part of India, Iran and Pakistan, except the Red Sea off the Gulf (Ahmad et al., 2018). Protein is the most expensive constituent in fish diet and accounts for 30-60% of production cost in aquaculture and protein in the diets share a major proportion of the aquafeed cost in cages (Lee et al., 2002; Silva et al., 2007; Harlioglu, 2011). In fish diet formulation protein is one of the most important feed nutrients for growth performance and good health (Khan et al., 2015; Li et al., 2016). Dietary protein provides both essential and non-essential amino acids for fish growth; maintain body composition and energy (NRC, 1993; Kaushik and Medale, 1994). Only a part of dietary protein is used for growth (protein synthesis) and the remaining transforms to provide energy for other activities (Zehra and Khan, 2012). Insufficient as well as excessive amounts of protein in diet reduce growth performance of fish (Zehra and Khan, 2012; Wicks and Randall, 2002). The optimal dietary protein levels of marine fishes have been determined between 30-55%, depending upon fish size, fish species, protein sources and environmental conditions (NRC, 1993). An increase in dietary protein increases the production cost (Liu et al., 2011). Therefore, from both economical and fish growth perspectives, the inclusion of protein in fish diet should be optimized (Siddiqui and Khan, 2009), particularly for commercially important fish species suitable for aquaculture, as it is one of the initial nutrient requirements for the maximum production of healthy fish (Giri et al., 2011). Due to the lack of information on the dietary protein requirements for yellowfin seabream A. arabicus, the present study was undertaken to determine the optimum dietary protein requirement for A. arabicus in floating net cages. Locally available ingredients, such as, fish meal, fish oil, rice bran, wheat bran, wheat flour, starch, vitamins and minerals, were procured from the local market of Karachi. Five practical diets P30, P35, P40, P45 and P50 were prepared to contain 30%, 35%, 40%, 45% and 50% protein, respectively (Table I). The major protein source used was fish meal, the collected ingredients were weighed, mixed thoroughly, blended with water and fish oil to form dough. Pellets were made (2 mm) from the well mixed dough using pallet-machine, allowed to dry in an oven for 24 hours, packed separately and stored in freezer until used. The diets were analyzed for dry matter, crude protein, crude fat, crude fiber and moisture (Table I). The juveniles of A. arabicus were collected from the vicinity of the experimental site (24º 55’ 43.07” N, 66º 44’ 26.18” E). A total of 550 fish juveniles was collected and initially stocked in six floating net cages. The juveniles were acclimatized for two weeks and were trained to accept normal fish meal diet (30% crude protein) twice a day. Healthy fish of uniform size (n = 450) with mean initial body weight of 20.94±0.81g were distributed randomly (30 fish/cage) in triplicate floating net cages (1.5m x 1.5m x 1.5m) for each diet group. The experimental trial was lasted for fifty six days. Each group was assigned to diet types (P30–P50) in a randomized design. Sixty individuals were separately euthanized with tricaine methane sulfonate (MS-222) and stored at -20ºC for the entire carcass body before the start of the experiment. Table I.- Composition of experimental diets (g kg-¹) and proximate analysis (%) of diets for A. arabicus. Ingredients were mixed to yield required protein level on the basis of their crude protein concentration1. 1Crude protein concentration of feed ingredients: Fish meal (61.2%), wheat flour, (16.2%), wheat bran (12.6 %), rice bran (CP-6.1%), starch (CP-9.4%). 2Protein levels in diets: P30 = 30% ; P35 = 35%%; P40 = 40%; P45 = 45%; P50 = 50%. 3Vitamins and mineral mixture (g/1000g): ascorbic acid (vitamin C) 15, thiamine (vit. B1) 1.1, inositol (vit. B8) 38.5, choline chloride 3.7, pyridoxine (vit B6) 1.2, folic acid (0.5); cyanocobalamine (vit B 12) 0.004, nicotinic acid (vit. B3) 4.2, riboflavin (vit. B2) 1.1, pantothenic acid (vit. B5) 1.35 and biotin, 0.4; cholecalciferol (vit. D3) 6.8, retinol (vit. A) 1.1; menadione sodium bisulphitevit K3 0.04, a-tocopherol acetate (vit. E) 5.2.; calcium 1.3; phosphorus 3.3; zinc 1.1; copper 1.02; magnesium 2.3; phospholipids 3.2; iodine 2.1; manganese 2.04; iron 1.1; sodium 1.02. Fish juveniles were fed manually twice daily (9.00 am and 16.00 pm) to apparent visual satiation six days a week. The feed was supplied slowly to reduce the wastage and the point was noted when fishes not show interest to take more pelleted diet, the feeding was stopped and that was the point of satiation. Fish from each cage were counted, measured (total length, cm) and weighed (g) fortnightly. The total feed offered to the fish in each cage was recorded daily. The cages were cleaned weekly to maintain free circulation of water. The water quality parameters were determined once every week throughout the trial period and the average values of temperature (26-28±1.5 °C), dissolved oxygen (6.1±0.2 mg/L), pH (7.8-8.3) and salinity (20-25 g/L) were within acceptable range for cage culture of A. arabicus, showing 100 % survival in all cages. The data were presented as total mean ± standard deviation of triplicate groups. One Way ANOVA (analysis of variance) was used to assess the differences in growth performance between groups receiving different levels of dietary crude protein. The Tukey HSD test was used to determine the significant differences among the five treatments. The optimum level of dietary protein for A. arabicus was established using second order polynomial regression. The statistical analysis was performed through SPSS ver. 18 and Microsoft Excel 2010. At the end of the experiment, six fish from each experimental cage were randomly selected and anesthetized with MS-222 for subsequent final fish carcass proximate analyses. Proximate analyses of pellet diet and fish carcass were carried out using standard methods (AOAC, 2005) for dry matter, moisture (drying at 105ºC for 24 h), crude protein (Kjeldahl method; N x 6.25), crude fiber and crude fat (Soxhlet method). Fish juveniles were good in health during the whole experimental period and a 100% survival was recorded in all the treatment groups. The overall growth performance of A. arabicus fed on different protein diets is presented in Table II. Variable growth was observed for fish in different dietary groups. Dietary protein appears to have significant (P< 0.05) effect on the growth performance of the experimental fish. The lowest growth was recorded at P50 diet followed by P30 and P35. Best specific growth rate was obtained from fish fed on P40 diet, while no significant differences (P>0.05) between P35 and P45 were observed. Table II.- Growth performance attributes of yellowfin seabream, Acanthophegrus arabicus, fed at different protein levels. Values are the mean ± SD of triplicate groups (n=30), a٫ b٫ c, d values in the same row with different letters differ significantly (P< 0.05). *IBW, initial body weight; FBW, final body weight; WG, weight gain; ADG, average daily weight gain; SGR, specific growth rate; FCR, feed conversion ratio; FCE, feed conversion efficiency; SR, survival rate. Table III.- Proximate composition (kg-1 wet weight basis) of juvenile yellowfin seabream (A. arabicus) fed at increasing dietary protein for 56 days. Values are the mean ± SD of triplicate groups of 30 juveniles, a٫ b٫ c values in the same row with different letters differ significantly (P< 0.05). The growth performance, increased gradually with increasing protein levels from P30 to P40, and further increase in dietary protein caused significant decrease in growth. The highest final body weight (FBW), WG, FCE and SGR were recorded at P40 protein level. However, according to the second order polynomial regression analysis estimates the specific growth rate (SGR) of fish at five test diets showed that A. arabicus requires 42% protein in diet to exhibit best growth performance rather than 40% (Fig. 1). The best FCR of 1.80±0.03 was recorded for juveniles fed at 40% protein diet followed by 1.88±0.04 at 35% protein, 1.88±0.06 at 45% and 2.46±0.5 at 30% protein diet. The highest FCR (2.59±0.05) was recorded for juveniles received 50% dietary protein. In floating net cages, it was not possible to collect waste feed particles effectively; however slow feeding with an even distribution of the pellets in cage environment and monitoring of fish behavior are important to feed losses. Feed utilization was calculated based on the total amount of feed offered instead of actual feed intake. The analysis of fish body carcass (Table III), depicts that an increase in dietary protein had no significant (P>0.05) effect on proximate composition of fish carcass (protein, moisture and ash), however, the lipid content of the fish’s body was significantly lower (P<0.05) in P45 and P50 groups compared to P30-P40 dietary groups. The dietary protein provides essential amino acids for body functions and growth of fish (McGoogan and Gatlin III, 1999). The optimum protein requirement for fish growth depends on many factors, such as, water temperature, feed energy level, fish size and species, as well as quality of protein (Webster and Lim, 2002). Therefore, it is important to determine the optimum protein requirement for best growth as the protein is the most expensive fish feed ingredient in the diet (Wee and Tacon, 1982; Zehra and Khan, 2012). To reduce the cost of the aquaculture operation a balance and cheaper feed is required (Ahmad et al., 2018). The present study provides essential information regarding the optimum dietary protein level for better growth of yellowfin seabream (A. arabicus) juveniles in floating net cages. Insufficient amount of protein in fish diet results in low growth performance due to inadequate supply of some important amino acids in the diets to maintain optimum growth (Kim et al., 2003; Kpogue et al., 2013). In addition, low-protein and high-carbohydrate diets reduce enzyme activity, digestibility, and hence results in a sluggish growth rate in fishes (Jantrarotai et al., 1994). A model of specific growth rate (SGR) plotted against increasing dietary protein contents by second order polynomial regression of fish growth (y = -0.002x² + 0.228x – 2.9386; R² = 0.980) shows a decreased growth rate at low and high protein levels. According to polynomial regression the optimum protein level (42%) estimated in the present study for the best growth performance (SGR) in A. arabicus is comparable to many other studies on black seabream Sparus macrocephalus (41.4% protein; (Zhang et al., 2010), red drum Sciaenops ocellatus (40% protein; (Serrano, 1992) and silver perch (42.2% protein; (Yang et al., 2002). A reduction in growth is noted in the yellowfin seabream at high-protein diet (P45 and P50 groups) which has also been recorded earlier for other fish species (Zehra and Khan, 2012; Bulut et al., 2014). The reason is that only a part of dietary protein is used for synthesis of protein (growth) and the rest is converted into energy (Zehra and Khan, 2012). The high-protein diet not only cause physiological stresses (Guo et al., 2012; Yigit et al., 2018), but also results in increased excretory ammonia particularly in ponds, tanks and aquarium causes’ insufficient growth and fish mortality (Guo et al., 2012; Webb and Gatlin III, 2003; Yigit et al., 2018). The feed was provided to fish in cages at a slow rate to make sure that the feed losses were minimized and the FCR and FCE values obtained are precise. Variable FCR and FCE values with respect to dietary protein levels have been attributed to variations in dry matter intake of fish with low protein concentration (Lee et al., 2002). In the present study the best FCR and FCE values were recorded for P40 fish group which is significantly different from lower (P30, P35) and higher in (P45, P50) protein diet groups. The influence of dietary protein level on proximate composition of fish has some discrepancy. While some studies suggest significant effect of dietary proteins (Rema et al., 2008; Zhang et al., 2010; Lazo et al., 1998; Silva et al., 2007), many other reports are contradictory (Lee et al., 2002; Schulz et al., 2007). We found that increasing dietary protein has no effect on body composition (moisture, protein and ash) in A. arabicus fed on five experimental diets which corresponds with some previous reports (Lee et al., 2002; Kim et al., 2003; Lazo et al., 1998; Schulz et al., 2007). However, lipid concentration in yellowfin seabream carcass in P30, P35 fish group was significantly different than P45 and P50. The P40 was intermediate and not significantly different from both lower and higher dietary protein groups; such trend has been reported in other species (Zhang et al., 2010; Arzel et al., 1995; Luo et al., 2004). In conclusion, the results of this study indicate that the 42% protein diet was optimum for the growth of yellowfin seabream with improved growth performance parameters (FBW, WG, ADG, FCR and FCE) without influencing fish body proximate composition. The authors are currently working the formulation of well balanced, low cost, and environment-friendly artificial diets for yellowfin seabream by replacing costly fish meal diet with low-cost ingredient available locally. This would effectively reduce the operational and production cost of aquaculture activities. We are thankful to Higher Education Commission of Pakistan (HEC) for providing funds (HEC Project 3716). We are indebted to the Center of Excellence in Marine Biology (CEMB), University of Karachi for laboratory space and logistics. We gratefully acknowledge the support of Sardar Aslam Gador for allowing us to install cages safely at Soneri coast Karachi in his premises. NA wishes to thank CEMB for the grant of PhD Research Fellowship. 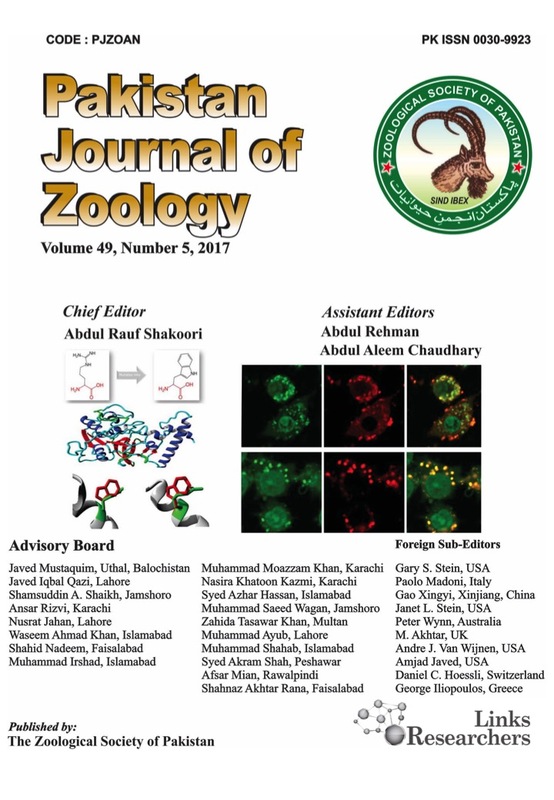 Ahmad, N., Siddiqui, P.J.A., Khan, M. K., Akbar, N.U., Rashid, M. and Masroor, R., 2018. The growth performance of Juvenile Yellowfin seabream (acanthopagrus arabicus) fed at different feeding rates while reared in floating net cages. J. Anim. Pl. Sci., 28: 1014-1020. Akazaki, M., 1984. Sparidae. In: The fishes of the Japanese Archipelago (eds. H. Masuda, K. Amaoka, C. Araga, T. Uyeno, T. Yoshimo and K. Muzik). Tokai University Press, Tokyo, pp 171-173, pls. 166-167. AOAC, 2005. Official methods of analysis, 14th ed (ed. S. Williams). Association of Official Analytical Chemists, Arlington, VA, USA. Carpenter, K.E., 2001. Family sparidae. In: Species identification guide for fishery purposes. The living marine resources of the western central Pacific. Vol. 5, Bony fishes, Part 3 (Menidae to Pomacentridae) (eds. K.E. Carpenter and V.H. Niem). FAO, Rome, pp. 2990-3003. Eschmeyer, W.N., Fricke, R. and van der Laan, R. (ed. ), 2013. Catalog of fishes: Genera, species, reference. Available at: http://researcharchive.calacademy.org/research/ichthyology/catalog/fishcatmain.asp (Accessed on 02 December 2017). Froese, R. and Pauly, D. (eds. ), 2015. Fish base. World Wide Web Electronic Publication. Available at: http://www.fishbase.org (Accessed on 15 August, 2017). Harlioglu, A., 2011. The influence of replacing fish meal, partially in the diet with soybean meal and full-fat soy on growth and body composition of Rainbow trout (Oncorhynchus mykiss). Pakistan J. Zool., 43: 175-182. Khan, N., Qureshi, N.A., Chouinard, Y. and Vandenberg, G.A., 2015. A preliminary study to evaluate the impact of supplementary feeds on the fatty acid profile of two size groups of Indian major carps in semi-intensive culture system. Pak. J. agric. Sci., 52: 541-550. Kpogue, D., Gangbazo, H. and Fiogbe, E., 2013. A preliminary study on the dietary requirement of Parachanna obscura larvae. Turk. J. Fish aquat. Sci., 13: 111-117. Kuronuma, K. and Abe, Y., 1972. Fishes of Kuwait. Kuwait institute of Scientific Research, Kuwait, pp. 123. NRC, 1993. Nutrient requirements of fish. National Academy Press, Washington, DC, USA. Ouraji, H. and Ebrahimi, G., 2012. Growth performance and body composition of kutum fingerlings, Rutilus frisii kutum (Kamenskii 1901), in response to dietary protein levels. Turk. J. Zool., 36: 551-555. Siddiqui, T.Q. and Khan, M.A., 2009. Effects of dietary protein levels on growth, feed utilization, protein retention efficiency and body composition of young Heteropneustes fossilis (Bloch). Fish Physiol. Biochem., 35: 479-488.